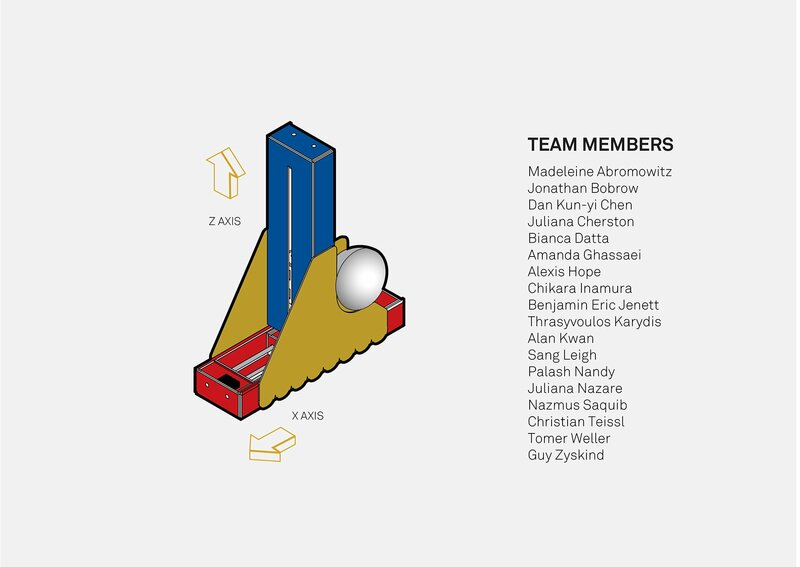 The one week machine design section of 'How to Make Almost Anything', an MIT graduate class taught by Neil Gershenfeld, produced 4 unique machines. 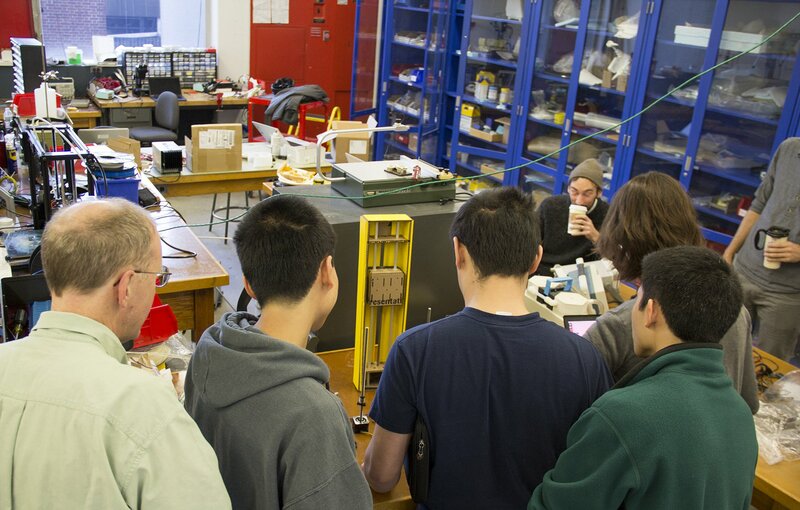 The class challenges students with weekly design and engineering assignments, ranging from electronics design to large format machining. 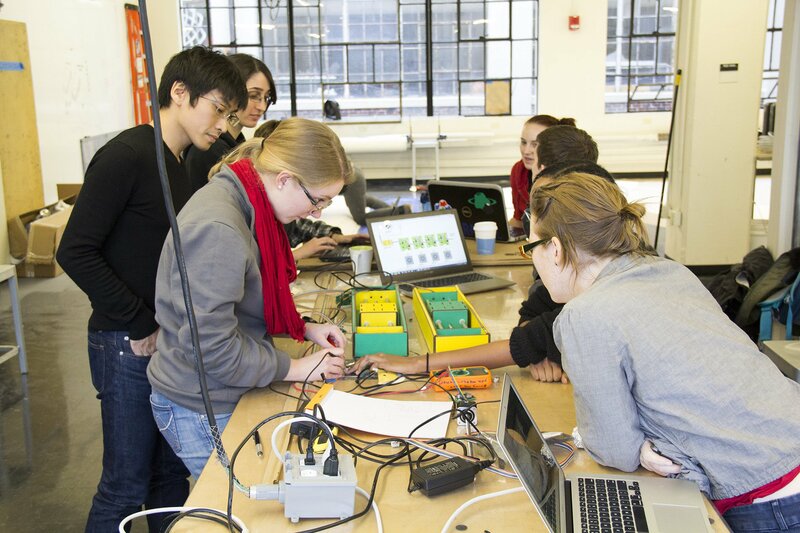 By the second to last week, students have acquired nearly all the skills (electronics design, mechanical design, networking, interface design, embedded programming, etc.) necessary to design and build a CNC machine. 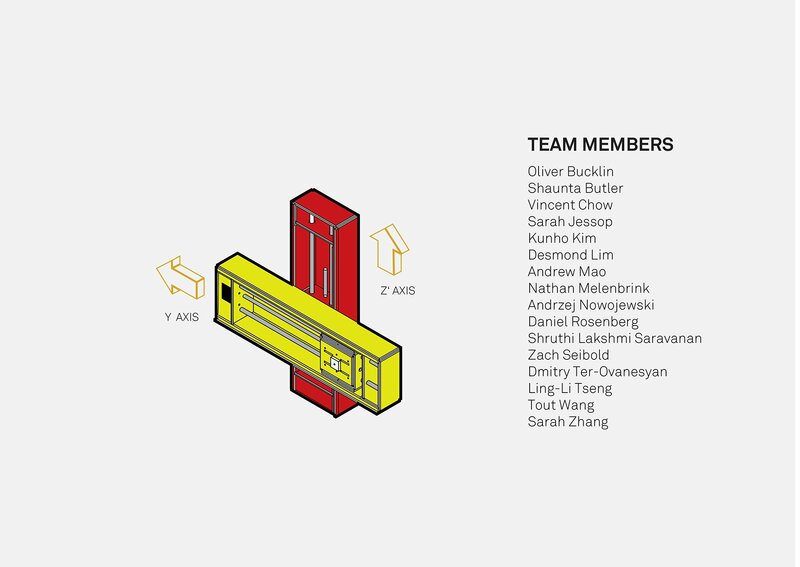 4 sections with 15 students in each. Here the IDC section tests their circuit boards. 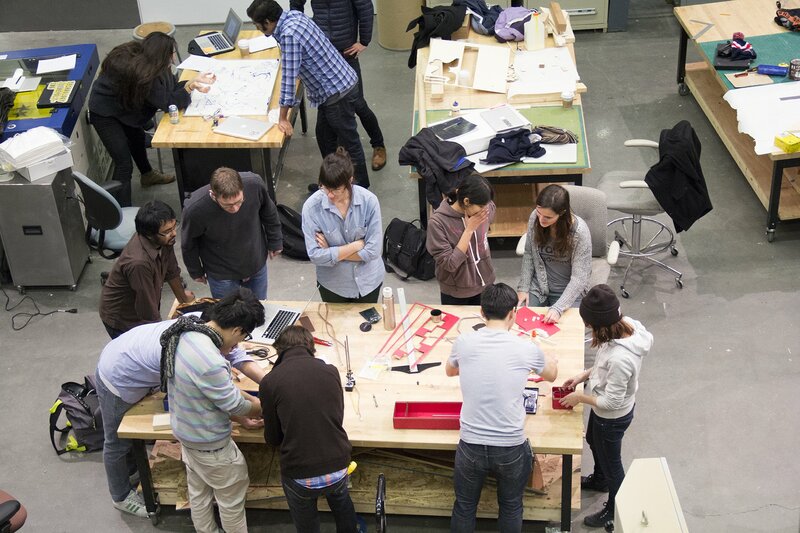 Many machines have been built during the decade-plus history of the now infamous MIT course How to Make (almost) Anything. So many, that a follow up course specifically on machine building was created called How to Make Something that Makes (almost) Anything. 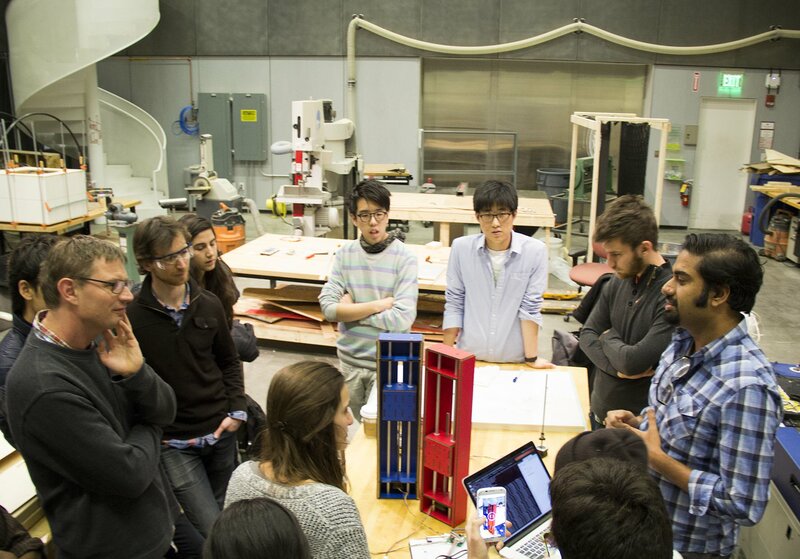 An introduction to machine building is given during one week of HTM(A)A, towards the end of the course when students have amassed many of the skills necessary for machine design. 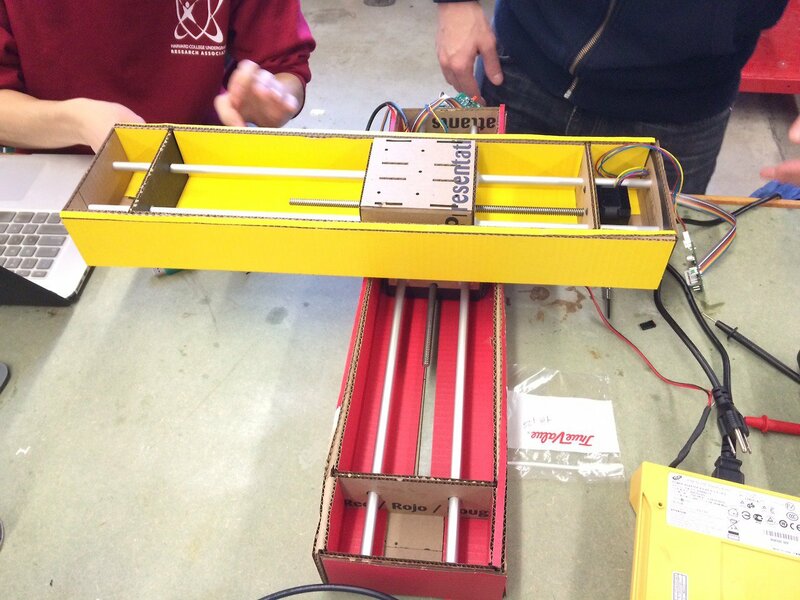 For the machine building section class this year, we designed a cardboard construction kit for rapid machine prototyping. 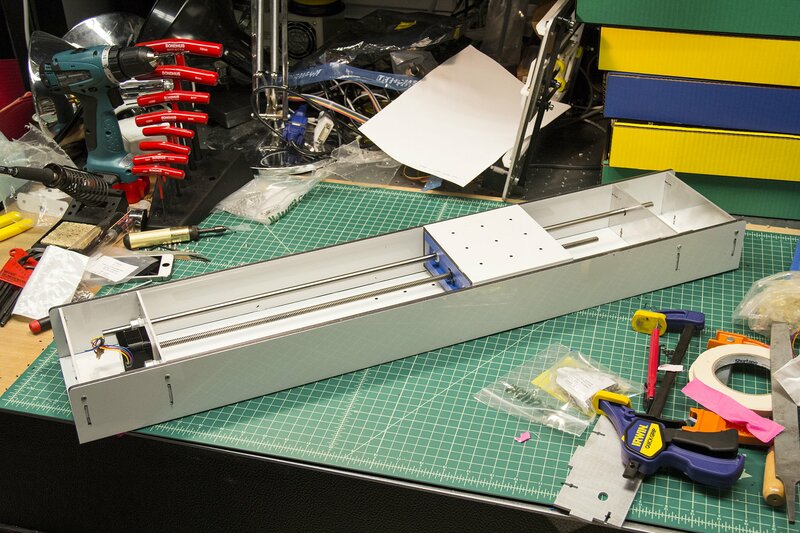 Extending the Modular Machines that Make Project, we created a low-cost version of the reconfigurable stages using cardboard and off the shelf hardware. The bill of materials for a single cardboard stage including electronics is under 70 USD, and the cost goes down already in quantities of 2. The week's assignment was to design a machine, construct it and its control electronics, program them, and create an application/interface for it. 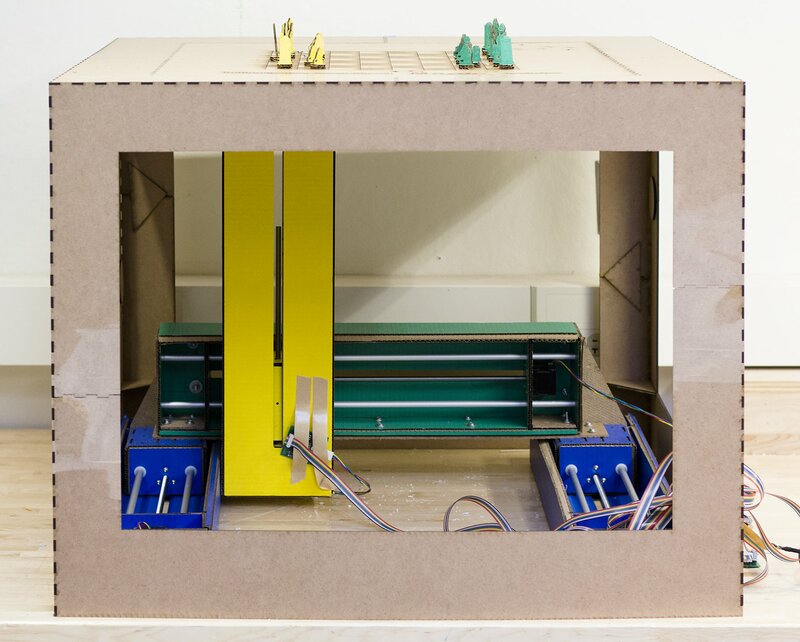 Cardboard affords rapid machine prototyping through low cost, material familiarity, and ease of construction. All you need is glue, a ruler, and a utility knife! 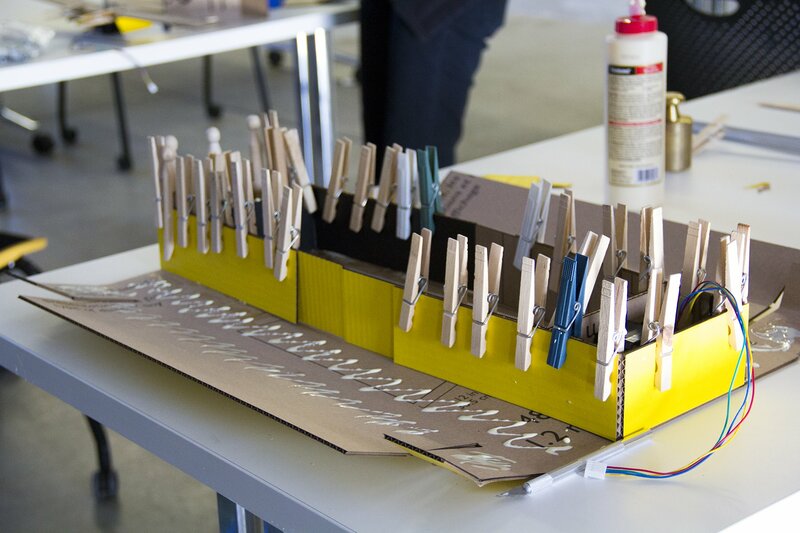 You can have a look at the tutorial page for creating cardboard machines here. 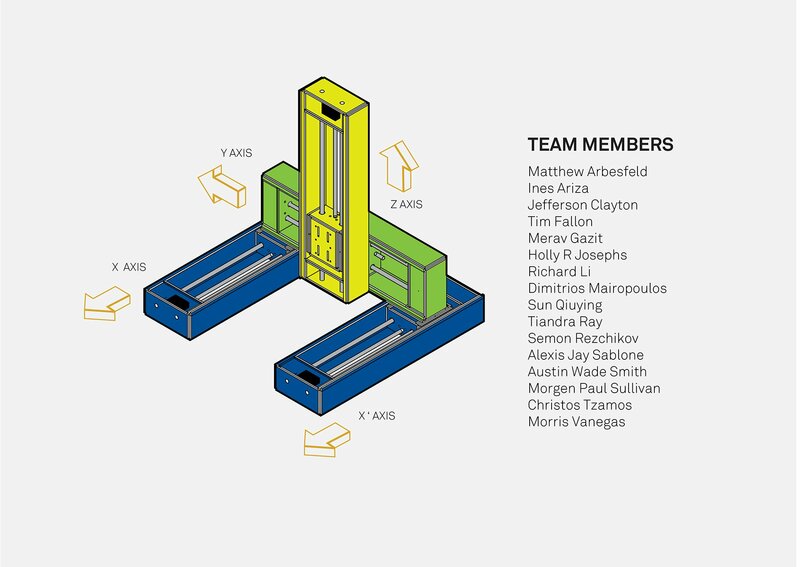 Below are the results from the HTM(A)A Machine building week 2014. 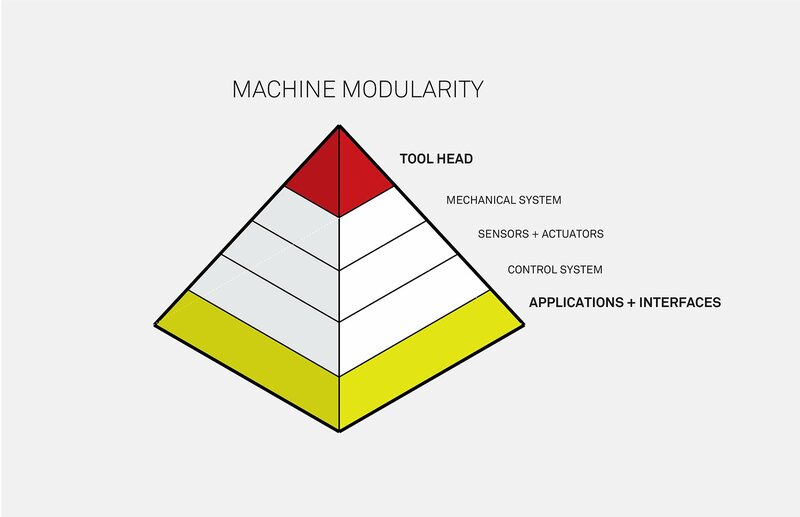 The [m]MTM Modular Machines that Make kit allows for rapid prototyping of CNC machines by allowing users to focus their efforts on the purpose of the machine (what tool head does it have) and how users interact with it (what's the UI? how's the UX?). 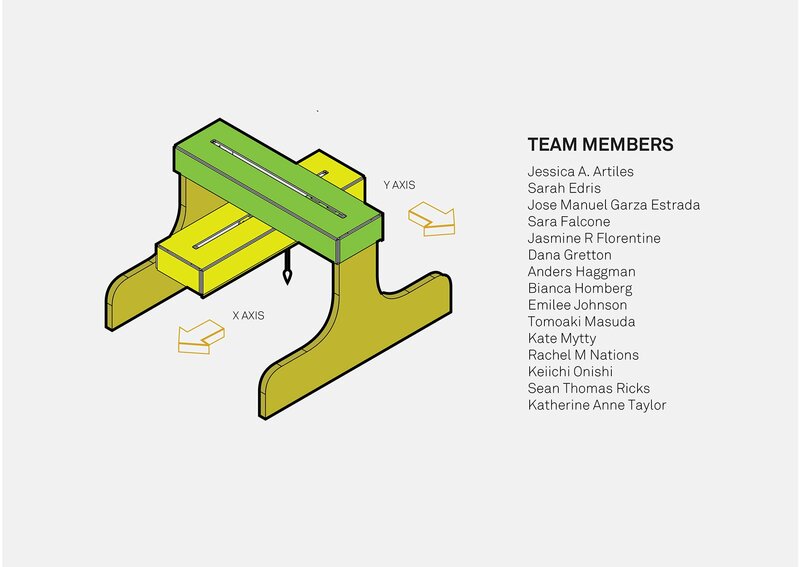 Project documentation page can be seen here. Laser projection machine for light painting. 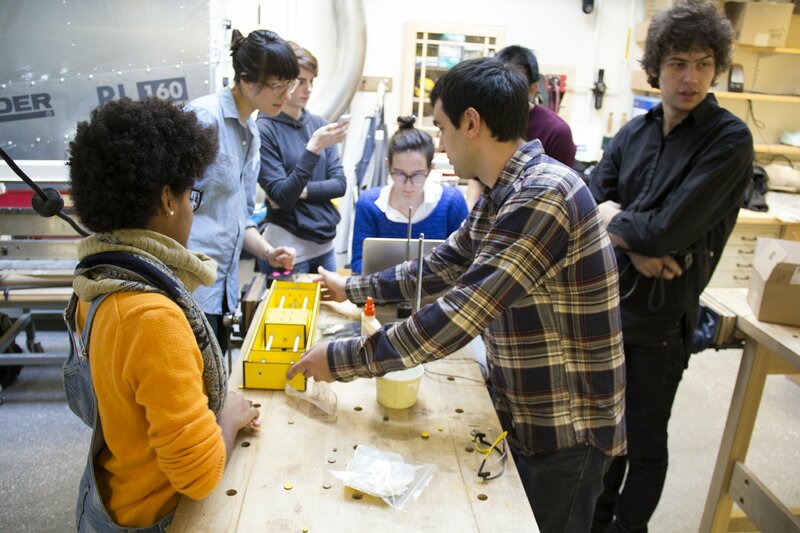 MIT East section works with the m-mtm construction kit in the Center for Bits and Atoms Digital Fabrication Facility. The stages made from cardboard sheet stock are moving around within an hour. Machines are fun! 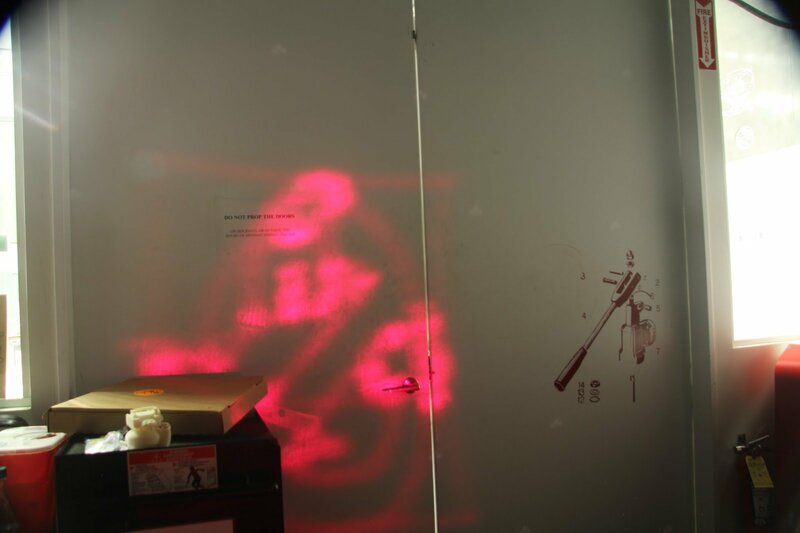 Laser projection in action. Long exposure photo of Ghostbusters Logo. Magic chess machine complete with custom table and pieces. An interface for chess-playing with the table. 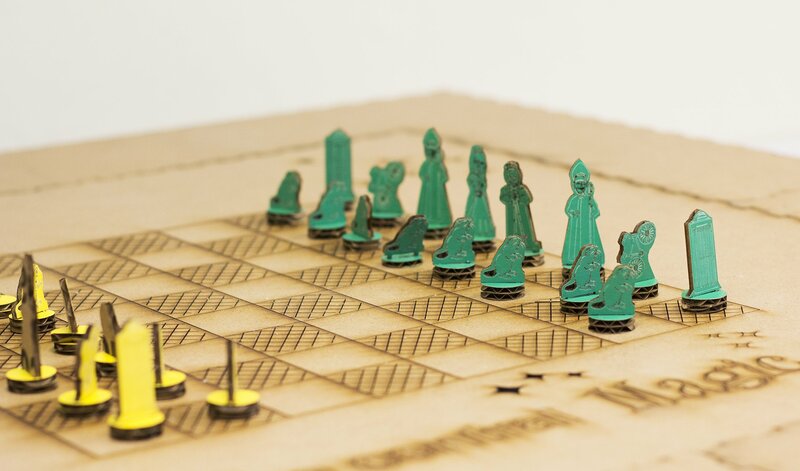 MIT themed chess set. King = Neil , Queen = Nadya , Bishop = James, along with bikes, beavers and a TARDIS-rook. Completed machine including paint and frame. Construction and lamination process. The clothespins aren't actually necessary, but they looked funny. Stage assembly and first motion. 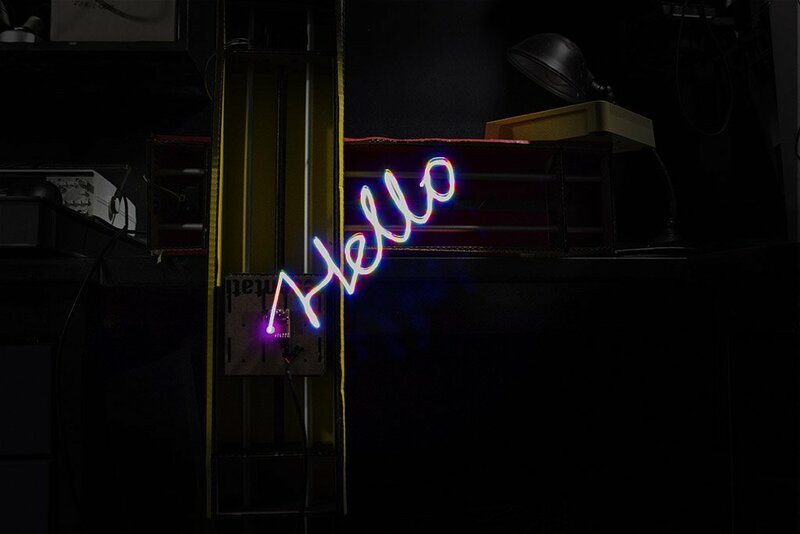 Long exposure photo of light painting. 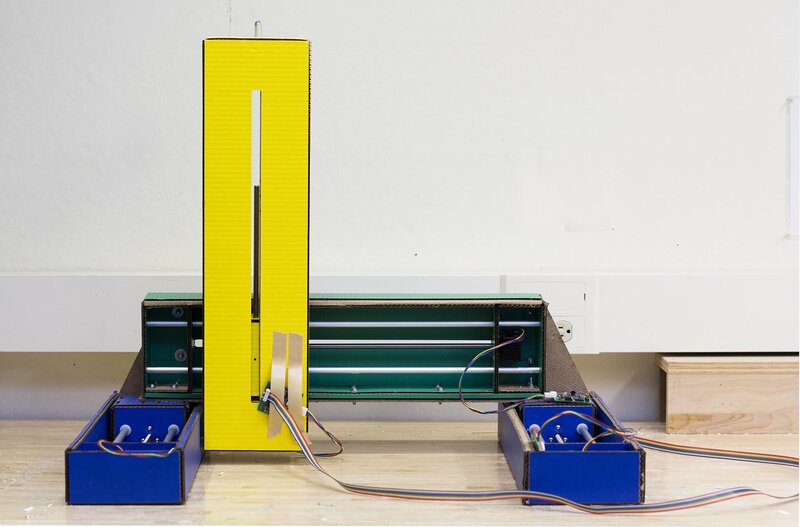 Off-the-shelf digital fabrication machines are becoming cheaper, although they are not necessarily becoming more diverse. A wide range of entry-level 3D printers has entered the market recently, as well as entry-level CNC routers, but application-specific tools remain expensive, cumbersome to build, and require lots of custom work. However, building application-specific machines for every task is no longer as prohibitive. CNC tools make building custom mechanical frames easier, and machine building components (such as motors, bearings, guide rails, etc.) are now more commonly available at low volume with shorter lead times. If application-specific machines are accessible, how can users learn how to build these machines in this era of fast, cheap, and cheerful? 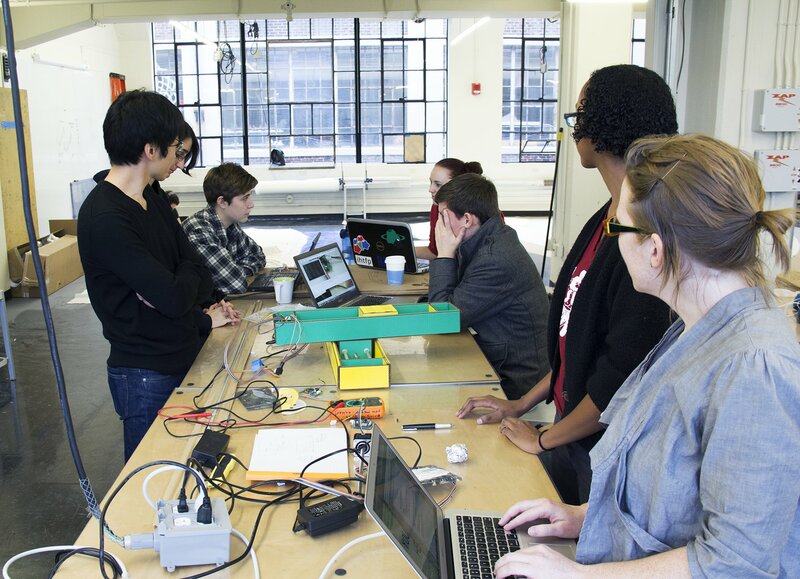 The cardboard machine building construction kit turns the Modular Machines that Make project into an accessible and affordable educational curriculum. 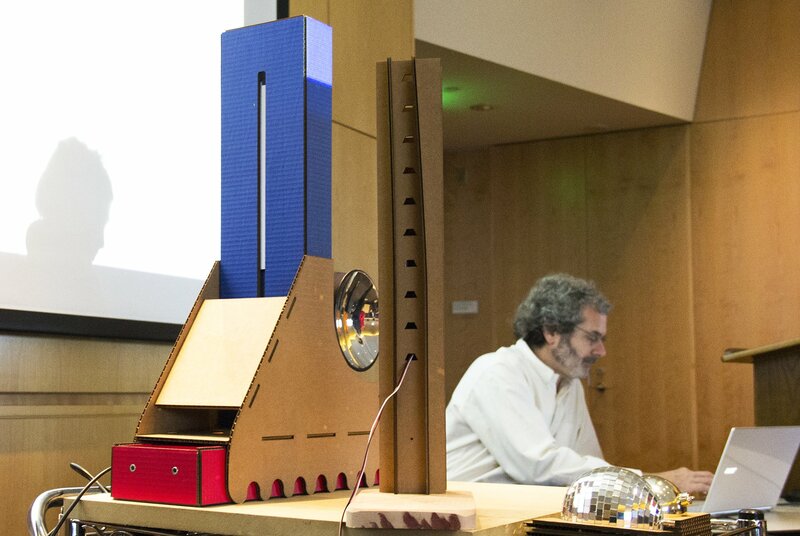 Once prototyped, the cardboard constructions act as proof of concept demonstrations and are easily translated into other materials for optimization. 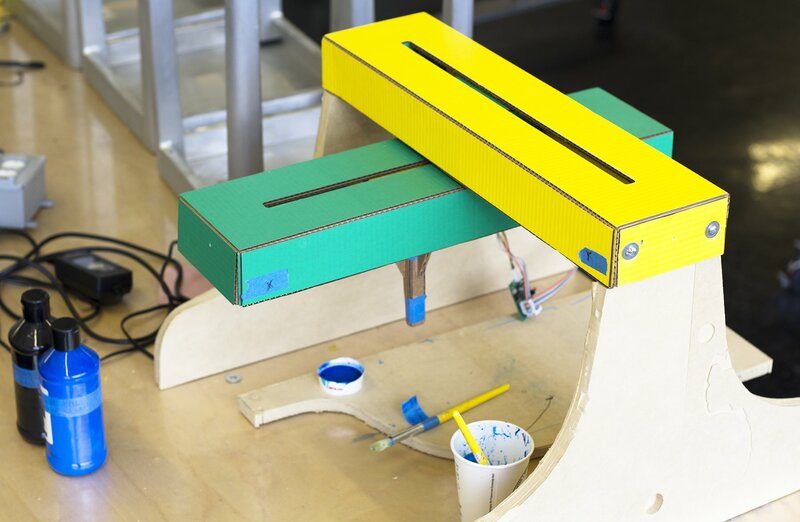 In this one week of How to make (almost) anything, 4 groups of students constructed 4 unique cardboard machines, and we thought they were all wonderful. More to come, in the meantime, make a machine! Example of a stage translated from cardboard to a composite aluminum panel.